John Polis is an entrepreneurial information management and business operations leader with a 25+ year track record of creating and enhancing technology enabled businesses and building platforms that allow for significant scale. Prior to joining Star Mountain, Mr. Polis was COO and CTO for Guidepoint Global, a primary research firm and expert network serving the world’s leading Institutional Investors, Private Equity Firms, Consulting Organizations, and Corporations. Brought on in 2011 with a direct turnaround mandate, Mr. Polis changed the operating culture leading positive change in process and people management along with directing significant improvements to their information technology platform guiding the company back to profitability and significant double digit growth. Before Guidepoint, Mr. Polis served as COO and CTO for Coleman Research Group (CRG), also a primary research firm and expert network where he was recruited immediately after company secured financing. Without delay Mr. Polis led the product management and development effort on their custom built, Web based CRM, Recruiting, and Payment Processing platform – Knowledge Broker™ – while also being responsible for overseeing all operational areas of the company including research, relationship management, compliance, human resources, and data management. CRG also had a broker dealer arm, Coleman Brokerage Group, for which Mr. Polis served as compliance officer for. During his tenure Coleman Research scaled from 5 to 140 employees worldwide and in 2009 was voted one of Crain’s New York “Best Places to Work in New York City”. Earlier in Mr. Polis’ career he served as a Co-founder and Executive Vice President Operations and CTO for Dotcom Distribution and Chief Information Officer for the GT Media family of companies. 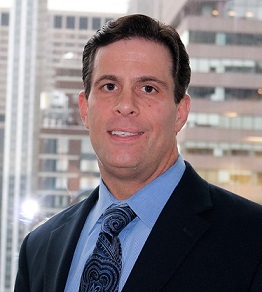 Mr. Polis holds a BA in Economics from New York University, an MBA in Management from Wagner College and is FINRA Series 63, 7 and 24 licensed. He is also an adjunct at NYU where he teaches graduate level courses in Integrated Marketing Database Modeling and Management. Prior to NYU Mr. Polis was an adjunct at Touro College Graduate School of Technology where taught courses in Database Design and Modeling for Business.